I tell my friends all the time, “You don’t need to send me a masterpiece, if you have been somewhere great and have some useful info for like minded travelers, just send me the stuff in a list, or an outline. No Crowds isn't about prose, it’s about free spirited experiences. If you are short on time, just send me the stuff, in any form you like." Today, I am going to follow my own advice because distracted as I am by home renovations, it would be a shame if I did not report on a trip to Rome last September which proved, once again, that it is possible to get off the beaten trail – even in one of the world’s most visited, arguably ove- visited cities. 2) Frescatteria – a restaurant on via del Croce, two blocks in from the Corso still has no credit cards, no phone and no coffee but continues to serve up good food at a great price in one of the most touristy parts of town. 3) The Trattoria da Settimio all' Arancio (via dell Arancio 50 - Tel: 06 68 76 119) still offers a bistecca florentina so obscene that they have to hang a side extension off your table to fit it all in and if that does not appeal, everything there is good. 2) The murals on the ceiling of St Ignacio provide a good proxy for the Sistine Chapel with none of the craziness of the Vatican. 1) The Keats-Shelley House on the Spanish Steps should be crowded, but it isn’t. While pandemonium reigns outside, you can enjoy the house and wonderful collections in relative peace and quiet. The most poignant bit is to stand in the tiny bedroom over looking the Steps where Keats spent his last days in a vain attempt to fight off consumption. Whether you are a fan of the romantic poets or not, the house is magic. 4) A stroll down Via Margutta, a delightful street made famous by artists who can no longer afford to live there. 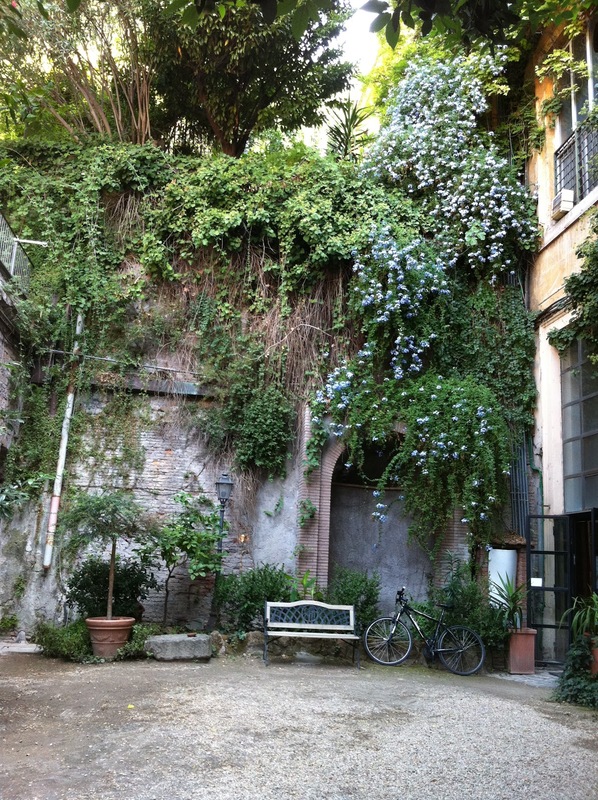 Check out the apartment where Gregory Peck lived in Roman Holiday - no 51 (5) - pictured above. And there you have it, some very rough ideas on how to have fun in a crowded place. So go on and send me yours – in any form you like.